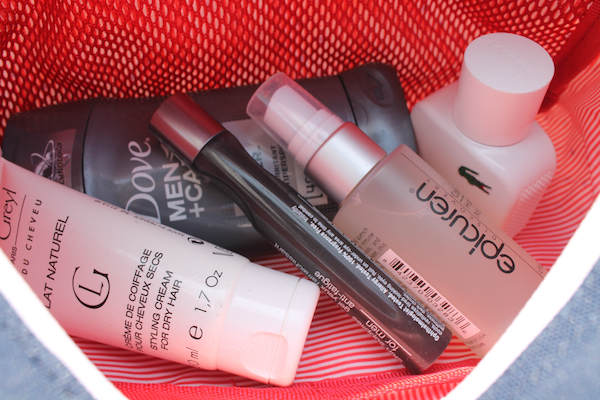 Accessories that can work anywhere in the world are essential for a traveler to showcase a global style, especially for the weekend when you are packing light and need an easy transition back to your day-to-day routine. Once you’ve picked your travel companion—for this trip to Cartagena, Coach’s Bleecker Legacy Weekend Tote ($658) for its modern heritage design and spacious body—its time to pack the necessities for your journey. So what do you bring in the bag? From Yuvi Alpert’s Men In Cities (an edited, limited collection of accessories each month with each item costing the same price), this beige Global Nomad Passport Cover ($40) has a vintage inspired charm to it. With two large pockets on each inside flap—one for a passport end and the other for your ticket—and a smaller pocket on the right flap (not pictured). The longtime premium travel brand, Tumi, has a clean design mini iPad case that comes in several different colors. Going classic with black, the Leather Snap Case ($95) is as easy as it sounds to put on, and comes with a sleek portfolio style cover that folds into an easel. Watch all your favorite shows with ease! 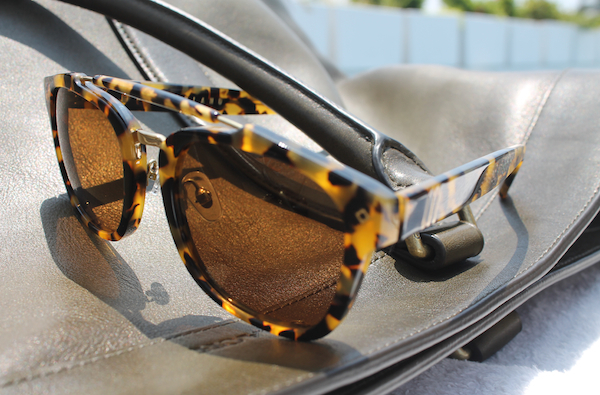 It’s always good to have at least one pair of shades when visiting somewhere with a lot of sun. A classic torte pattern on a geometric style built by hand, Wonderland’s Riverside ($135) really gets to what the LA-brand stands for—a celebration of its sunny SoCal roots. 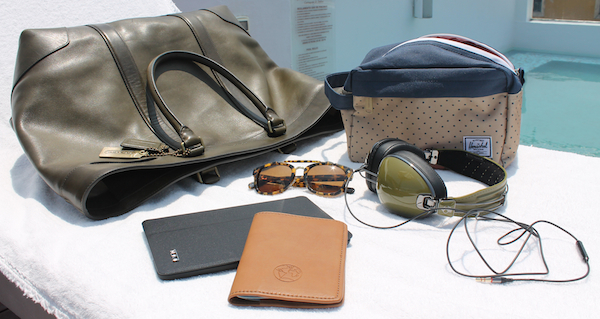 To complement the olive tote, these Skullcandy Aviators ($150) are perfect for any global or local travel occasion—daily commuting to New York or a seven hour flight to South America. With a cool design and cushiony leather ear covers for comfort, they provide a killer sound as well. 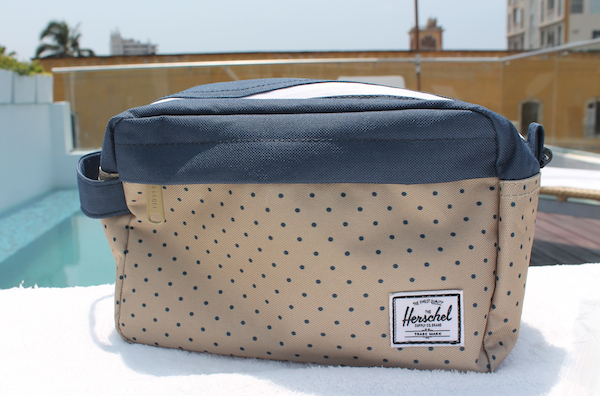 Dopp Kit – Herschel Supply Co.
Herschel Supply offers an array of solids and patterns for all of its different bag and accessory styles, but this Chapter dopp kit stuck out to me recently for both its color use (natural and basic blue) and the cool dotted scheme. Posted on November 1, 2013, in Fashion, Tech + Gear, Travel, What To Pack and tagged Accessories, Coach, Coach Men's, Colombia, Global Style, Herschel Supply, In The Bag, Men In Cities, Skullcandy, Travel, Tumi, Wonderland. Bookmark the permalink. 3 Comments.